Like most new technologies, the first few years of application are typically fraught with lots of trial and error, constant and new advancements, and in the case of Unmanned Aircraft Systems (UAS), more commonly known as “drones,” this is what’s happened. Less than a decade ago a small number of hobbyists, commercial companies and government organizations were using drones to create commercial content, conduct aerial surveys and research, or just for fun…creating videos or photos to share with friends and family. This is why the presentation by the Missouri Dept. of Conservation’s Kipp Woods and Kevin Muenks was so timely. Kevin explained, “We flew our first drone six years ago. It was a Phantom One, and you couldn’t monitor what you were shooting. You just strapped a GoPro to the bottom and you had no idea what you were shooting.” Recently the department acquired a Phantom IV. Muenks continued, “You can get a lot of great video using drones. We used to use helicopters but they’re expensive and hard to schedule. There are a lot of upsides to using drones but of course plenty of challenges too.” When the FAA began promulgating guidelines for drone usage, the department paused drone operations to get policies lined up. Department leadership felt things were too uncertain, so the drone was grounded for about a year as the process was developed. Muenks got his FAA certification two years ago, and beyond that his department mandated that he become a commercially licensed pilot. Initially the Missouri Dept. 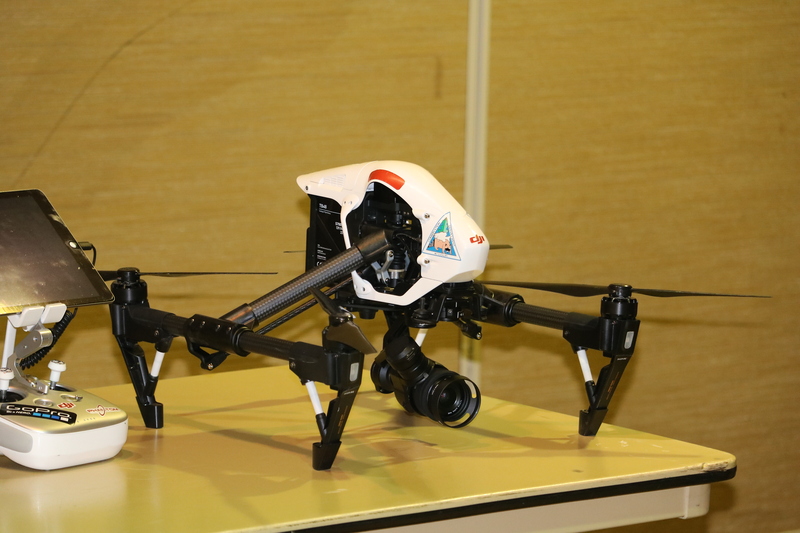 of Conservation used drones to gather still and moving images for promotional purposes. However various divisions wanted to use them for research, wildlife/bird counts and a myriad of applications. This created some policy-setting headaches, as brainstorming sessions were held to discuss and collaborate on internal procedures and requirements. Hill recommended Drone 101 or another online app as the first step in studying for certification or recertification. He emphasized that drones have caused damage and hurt people, and that’s why it’s critical that government agencies know and follow all the latest FAA rules and regulations. Representatives from other states shared drone-usage anecdotes from their experiences over the the past few years. Texas acquired its first drone and crashed it soon after in the gulf. Lost another in a fire. Have used them for a while and are now on version four. Flying challenges include the weather, like gusty winds. There’s a definite learning curve and there are simulators available for practice. Drone manufacturer DGI has come out with a crystal display screen that works really well in bright conditions. Nebraska sometimes has flown drones blind when there’s no cell service. Also experienced latency (time between real time image capture and display on operator’s screen or device) of 1-2 seconds. Montana – The FAA is starting to crack down. If you have an aeronautics unit, turn all drone related matters over to them to handle. Colorado – The State Wildlife Commission has banned drone usage for all hunting, in 90 percent of state parks and for all scouting. Missouri has one of the most strident state drone policies. Woods explained, “One of the mandates of the department is; we will not fly over private property without permission and before we do fly we get a signed release.” Another challenge is explaining to sister agencies why you can’t or won’t fly your drone for a specific project. It may be because your certified drone operator is a limited human resource with a finite number of hours to fly or because the governor wanted you to fly over people. Additional discussion during the session centered around drones versus helicopters. With choppers, you get landscape scale, sweeping vistas. With drones, you can get low and fly straight down a creek bed or track a person walking up a mountainside. A drone’s most obvious limitation is you have to operate within line-of-sight. This prompted the suggestion of using a radio-equipped spotter if you have that luxury. It was agreed that aerial photography/videography from either has plusses and minuses. The group was cautioned that it is likely that any images shot from an agency drone are subject to Freedom of Information Act requirements, and you should treat drone footage as you handle any photographs or video taken from the ground. 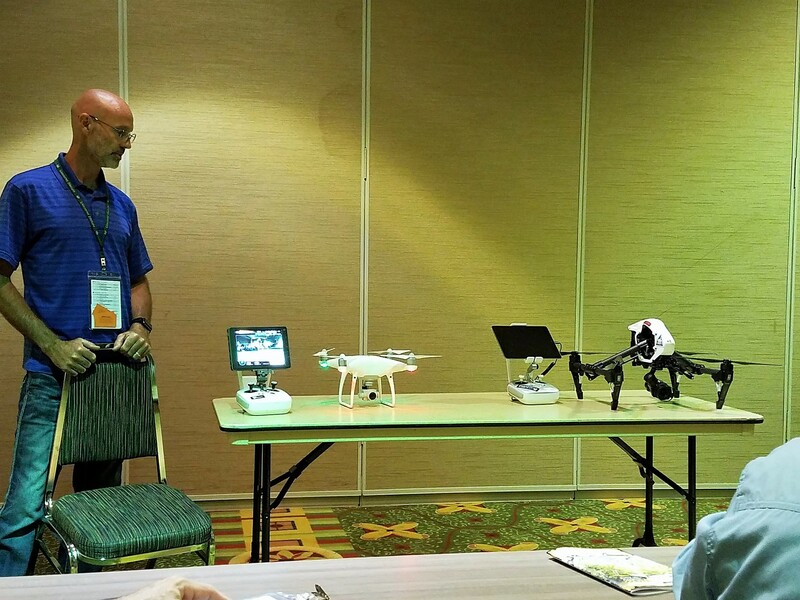 The session wrapped up with a discussion of the types of UAS currently available from the $1,500 Phantom IV (no monitor) to the Inspire II, which costs roughly $3,400 for the camera and controller without a case or camera cards. Depending on options and accessories, the total cost to get into drone operations could be as much as $5,000-$6,000. If you don’t have a drone already and your department is reluctant to get into the game, the ACI “drone experts” recommend hiring a private company for a project or two and then let the amazing images captured by these marvels of modern technology speak for themselves.